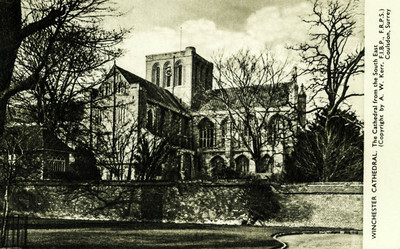 "Winchester – Winchester Cathedral – The Cathedral from the South East"
One black and white postcard with a divided back. The postcard was published by A.W. Kerr in Coulsdon, Surrey, England.